With Liverpool on the rise and often getting compared to leading business hubs like London, Manchester and Birmingham, there’s never been a better time to work in Merseyside. However, with office space in high demand in the city centre, the variety and quality of the coworking space Liverpool has to offer has never been more important. Introducing Signature Works, one of the most unique and flexible coworking space Liverpool is home to. From an amazing privilege card, to premium conference spaces and unrivalled city centre locations, check out the reasons why you should choose Signature Works for your coworking space. We offer three thriving coworking office spaces in the heart of Liverpool city centre. From the stylish Bling Bling Building, to Arthouse and Old Hall Street, each of our sites is completely unique. The Bling Bling Building boasts 4 spacious floors of office space, a sleek bar & deli and regular pop up events. Or choose Arthouse, a luxury hotel in the trendy Ropewalks area of the city, a hub for the creative industries. Our last office space is situated on Old Hall Street, boasting a mix of co-working, dedicated desks and a number of private offices across a ground floor and mezzanine. When you become a Signature Works member, you will also receive access to saving across a broad range of products, goods and services with the Privilege Card. From local brands, bars, restaurants and services, to Signature Living hotels, spas and venues, you’ll never be paying full price in Liverpool again! You’ll find well known names and brands featured on our card, plus a few new independents that you may like to support. We’re continually forging relationships with local and national businesses, retailers and service providers to create more valuable Privilege Partnerships and increase your opportunities to save money. We all know that exercise is a great way to stay motivated at work. So, when you become a member of Signature Works, you’ll also have free access to Signature Fit Club. If the slow and steady gym routine just isn’t for you, Signature Fit provides an exciting alternative to your everyday workout, easing you through high-intensity training every step of the way. 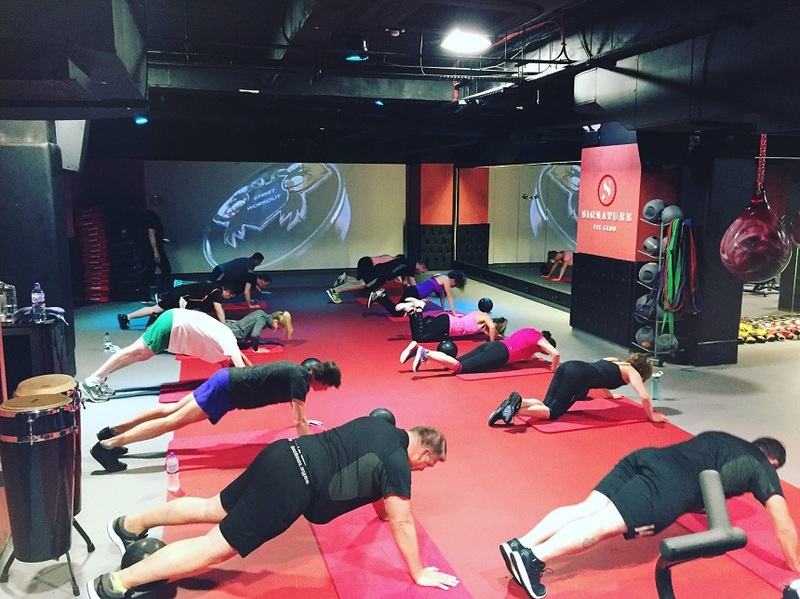 From HITT workouts, to spin classes, boxing and full body classes, Signature Fit Club is perfect for de-stressing and re-energising mind and body. At Signature Works, we don’t just offer a unique and buzzing coworking space, members also have access to free business advice and regular pop up workshops. Signature Works gives you direct access to mentors, advisors and influencers, allowing you to establish valuable contacts within your networks. The Signature Works Free Business Events are a platform where knowledge and experience can be shared, and connections can be built. Each free business event is supported by industry leading professionals such as Lawrence Kenwright, the Director of Signature Group. We offer much more than just office space, as a member of Signature Works, you will also have full access to incredible meeting, conference and event spaces at any of Signature’s boutique hotels. From The Shankly Hotel which features the stunning Garden of Eden rooftop venue and the intimate Baby Eden, to 30 James Street Hotel which boasts the luxurious White Star Grand Hall, these magnificent spaces are sure to make a lasting impression. Each of our coworking spaces are trendy, sleek, buzzing and feature the very best facilities. Offering everything you need from a networking hub such as, high speed Wi-Fi, free tea and coffee, storage lockers, mail services, meeting and conference rooms, travel concierge and secure key card entry. Whether you’re looking for a private office space, a personal hot desk, or an open-plan coworking space, you’ll find it at Signature Works. 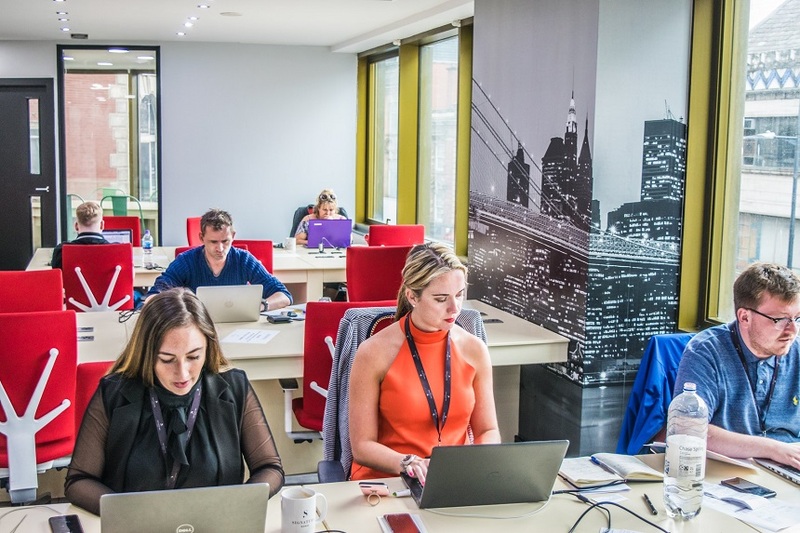 A brilliant opportunity for start-up businesses in Liverpool and budding entrepreneurs, Signature Works is an accessible, affordable and practical alternative to long term office space. To enquire about Signature Works and find out more information, simply give our team a call on 0151 558 1566 between 9:00 am – 5:00 pm (Monday to Friday). For regular updates, follow our Facebook page here. This entry was tagged coworking space, Liverpool, Signature Works. Bookmark the permalink.